Located in Docklands (Melbourne Central Business District), AKOM Docklands is within a 10-minute walk of Marvel Stadium and Melbourne Star Observation Wheel. 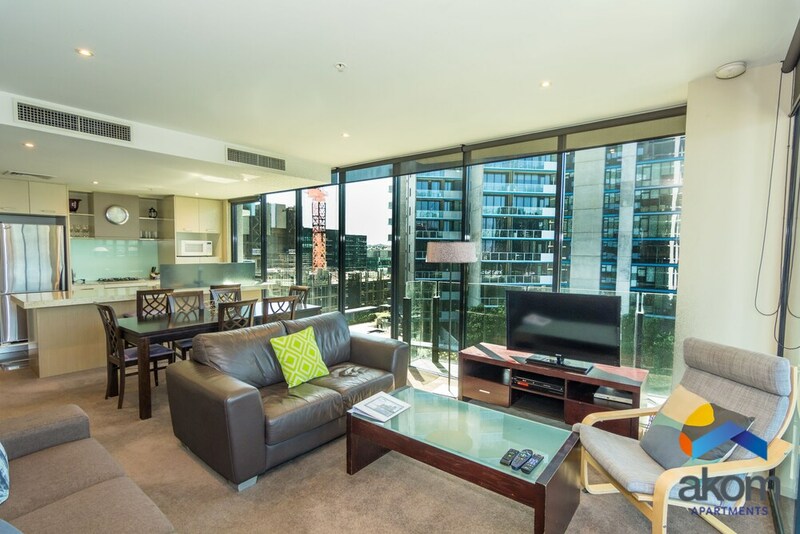 This 4-star apartment is 1.3 mi (2 km) from Queen Victoria Market and 1.6 mi (2.6 km) from SEA LIFE Melbourne. In addition to a marina, AKOM Docklands features an outdoor pool and a fitness center. Public areas are equipped with complimentary wireless Internet access. This Docklands apartment also offers a rooftop terrace, tour/ticket assistance, and multilingual staff. Parking is available onsite for a surcharge. AKOM Docklands has designated areas for smoking. Rollaway/extra beds are available for AUD 45.00 per night.